End of the Pacific Rim? From DreamWorks Animation comes an epic feature film about a hero and his underpants. 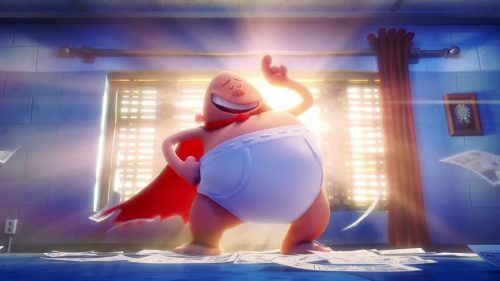 It’s about two boys who create a homemade comic book character that becomes real when they hypnotize their fun-crushing school principal and convince him that he…is tra-la-la…CAPTAIN UNDERPANTS.